During the first stage of implant surgery, the implant screw or fixture is placed into bone. It is then left to heal over a period of a few months. The purpose of leaving it over a few months is to enable the implant to fuse with the bone. This is called osseointegration. Implants are made of titanium. Studies have shown that titanium is a biologically friendly material and is able to form a stable union with bone. In some cases, however, the implant is unable to fuse with the bone. The first basis of implant stability is osseointegration. Without osseointegration, the implant is bound to fail. Failure rates have been reported to be as high as 7%.Wow, 7%, you say? Isn’t that quite high? Yes, however, the good thing is that we have managed to identify a few reasons why the implant is unable to osseointegrate. In general, if basic rules are followed and the implants are placed correctly, it should not fail. This happens when more load is applied to the implant than it can handle. This may happen if you tend to clench your teeth or suffer from bruxism. Your dentist should be able to identify this and you may have to wear night guards to avoid over-stressing the implant.Implant overload may also occur if the implant is loaded before it is meant to. Traditionally, implants are left buried under bone for months to allow for osseointegration before it can be used. However, with the increased popularity of immediate implants, some dentists no longer wait for the recommended amount of time. Hence, be very careful if you choose to do immediate implants. Check out my article here on immediate implants. If you have underlying medical issues which compromise your immune system, the healing of the wound after operation may be affected. Some serious medical issues include patients who have viral infections (HIV/AIDs), bone marrow transplant patients, and those who are on long term corticosteroids. Click here to know more! Diabetes is a condition where you have chronically high blood sugar levels. This is a rampant problem in singapore, leading the government and various health agencies to wage a ‘War on diabetes’. Initiatives have sprung up island wide, from encouraging healthier lifestyle habits to offering free diabetes screening tests at clinics.Why the fuss over high blood sugar levels? While it may seem trivial, this condition leads to a wide range of negative effects, one of which is being poor wound healing. Because of this, it may affect the osseointegration of implants. Yes, diabetes can also affect the success of your implants! As a ‘silent disease’, many people often do not know that they actually have diabetes. Always remember to go for your regular medical checkups! The adverse effects of smoking is well documented and widely known. Smoking causes a wide range of chronic infections in the body, and similarly to diabetes, also causes poor healing of wounds. It has also been shown to cause gum disease (periodontitis *link*) as well as bone loss, further lowering the success rates of implants. Our jaw bone houses many nerves. These nerves help us in sensation as well as taste. One of the most important nerves running through our jaw is called the inferior alveolar nerve. In the picture below, I have highlighted in red its position and course through the jaw. This nerve supplies sensation to our lips, cheeks, teeth as well as our tongue. Without this nerve, we will lose sensation in these areas of our mouth. As you can see, this nerve runs relatively close to the roots of our molars. Hence, whenever we place implants to replace molars, there is a risk of the implant injuring the nerve. This happens if the implant is too long or it is placed in an incorrect orientation. When the nerve is injured, this leads to temporary or permanent numbness. As such, it is important for the appropriate investigations to be done before placing implants at our molar regions. For patients with highly resorbed bone, implants may not be able to be done. 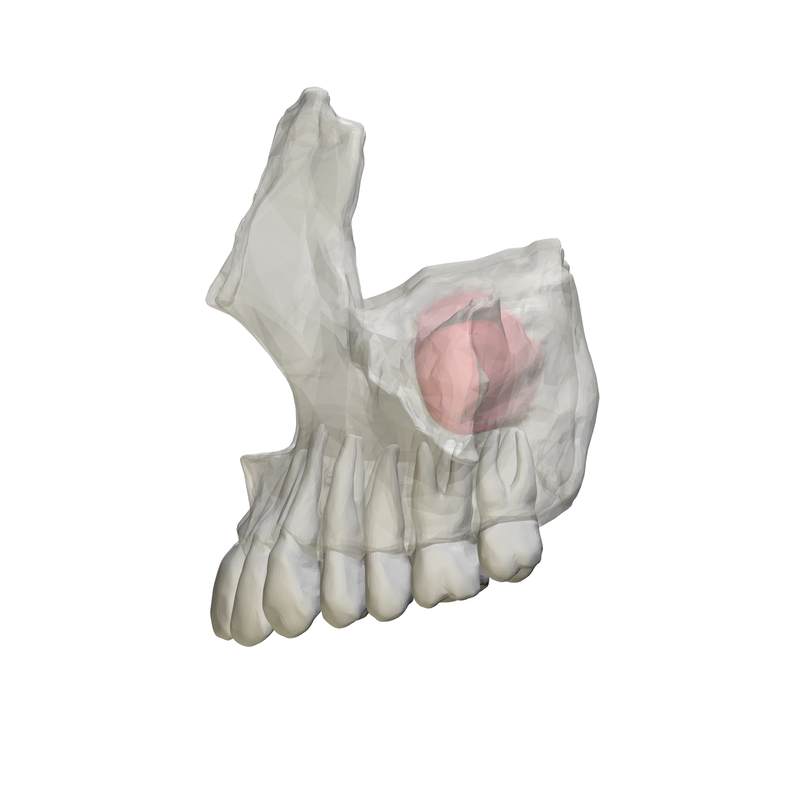 There is an important structure in the upper jaw called the maxillary sinus. This is highlighted in red in the above picture. 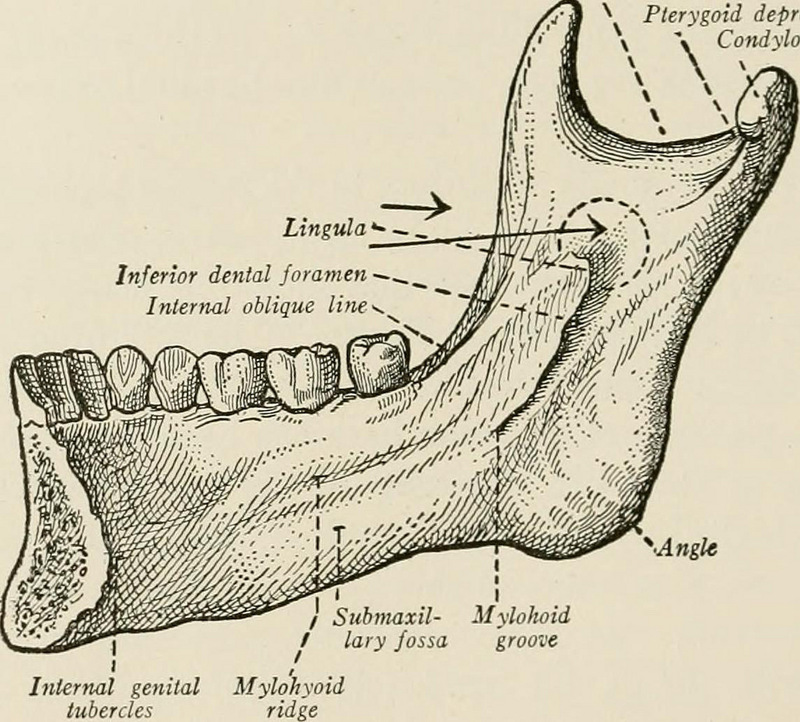 The maxillary sinus is a natural air space present in bone. It helps in resonance of our voice, among other things.However, as you can see, the maxillary sinus is situated close to the roots of the upper molars. Similarly, when using implants to replace the upper molars, there is a risk that the implant accidental enters into the maxillary sinus. We call this maxillary sinus perforation. This may cause a serious infection called sinusitis, major op needs to be done to repair it. Again, it is important for appropriate investigations to be done and the correct length of implant used so that it doesn’t perforate into the sinus. Any surgery - not just implant surgery- risks damaging surrounding structures like blood vessels and tissues. Because implant surgery is a minor surgery covering only a small area of the jaw, such risks are usually minimal, compared, to say heart bypass surgery. Again, a common complication of many surgeries. You will usually be covered by a course of antibiotics Certain conditions, however predispose to a higher risk of infections.